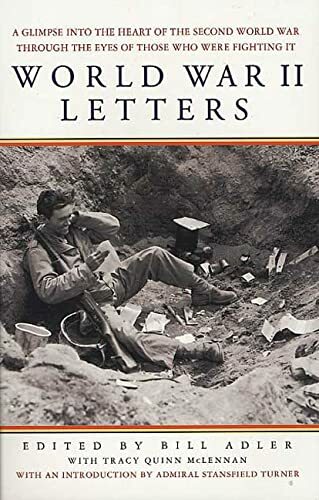 Writers from 20 Allied and Axis countries are gathered in this unique collection of letters from service-men and women to their friends, families and sweethearts. 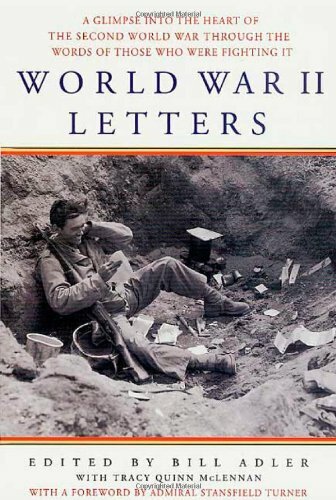 WORLD WAR II LETTERS provides an unflinching perspective on the lives of those who served throughout the world - in Europe, the Pacific, Northern Africa and Asia. Wide-ranging in scope, WORLD WAR II LETTERS includes writings by officers and infantry, nurses and doctors, pilots, POWs, those injured in action, killed in combat, and those reported missing. Introductory biographies and photographs vividly capture military life before, during and after the war. Bill Adler is a writer and literary agent who lives in New York. He is the author and editor of four "New York Times" bestsellers.